Southwest is like that reliable restaurant you frequent. It may not be the fanciest or have a broad menu, but it’s predictable. I like predictable, even if the glam-factor is lacking. 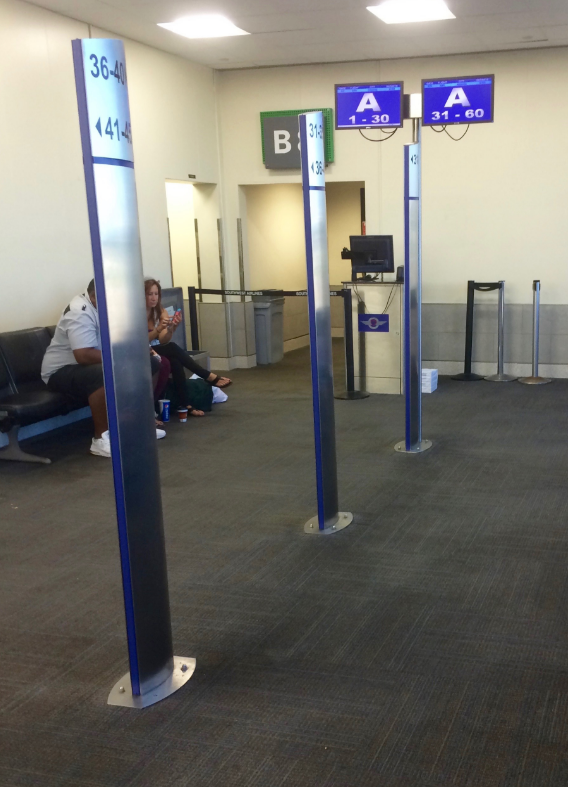 Boarding Southwest and getting a good seat can be either smooth or dreadful, you just need to follow these check-in steps to get you on-board sooner. I’ve checked-in for 9 Southwest flights this year, each time perfecting my skill. You see, Southwest is one of the few airlines that does not assign seats, your check-in time quickness determines your boarding priority. Love it or hate it, it works for them. This go-around, I managed to set my “personal best” record for boarding position, A18. Boarding group A1-A15 is reserved for folks who purchase a Business-Select fare. If no passengers are flying in Business-Select, A1-A15 will be empty. Now comes everyone else. Your Southwest boarding position is based on how soon you check-in, that is it. You can check-in EXACTLY 24 hours before departure. If your flight is set to depart at 10:15AM on Tuesday, you can check-in starting at 10:15AM on Monday. Using my simple, yet effective, check-in method, I’ve snagged an A position EVERY TIME! They say it’s only crazy if it doesn’t work. So what I do is pull up a separate window with the atomic time. This makes it easy to click the “check-in” button right on the money. This will give you an idea of how fast you have to be when pulling this off. I was checking-in Alyssa and I this morning on a desktop. In the time it took between clicking “check-in” on one window and moving my mouse cursor to the other window (I have two monitors), Alyssa got A18 and I got A26. It took maybe one second to move my mouse and click “check-in” on the second window. That means within that one second of moving my mouse SEVEN other people had already checked in. It is very important to be fast and have a good internet connection if you want to score the best boarding position. By hitting an A18 boarding position, that means only TWO passengers are boarding ahead of me, not including Business-Select ticket holders. Those two other passengers could be A-list, paid for EarlyBird, or they clicked the button faster than me. 4. The page will load with your flight details and then you’ll click “check-in” one more time as quickly as possible.